ESP has a PSA License no. PSA 00542. What function does the PSA perform? The Private Security Authority, which was established pursuant to the Private Security Services Act 2004, is the statutory body with responsibility for licensing and regulating the private security industry in Ireland. The function of the PSA is the control and supervision of persons providing security services and maintaining and improving standards in the provision of those services. ESP also operates under a NSAI license. What function does this cover? The N.S.A.I. operate a certified Intruder Alarm Installer scheme and inspect registered members to that standard and authorise the issue of certificates in compliance to E.N. 50131 to certified installers. The scheme has been supported by An Garda Siochana and the Insurance Industry and is operated in line with the Garda Siochana Alarm Control Policy which requires certification for alarm installations to be connected to Monitoring Centres. Evidence of certification to E.N. 50131 and SR 40 is needed to qualify for a PSA Licence. Does ESP offer alarm monitoring? 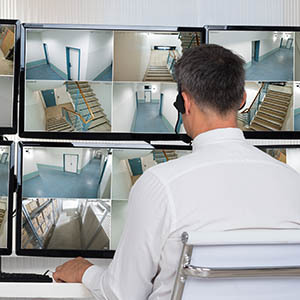 Together with its dedicated alarm monitoring partner company, ESP offers 24-hour / 7-day secure monitoring of all its security and CCTV systems. ESP offers a range of different alarm handling services. Everything from a basic digital communicator to a fully integrated security system with visual verification. Does ESP offer a Repair and Maintenance service?